According to IBIS World research, 24,440 restaurants were opened in Australia from 2013 – 2015. This shows how competitive the food business really is. Either way, don’t let that number scare you. Competition is not necessarily a bad thing. Competition is often pushing other businesses to be better, smarter and more efficient. The cleverest way to observe your competition is to use it as motivation for your business growth and, why not – an inspiration! This doesn’t mean you should copy other people’s ideas. Every business owner needs to find their place on the market in order to prosper. Don’t be impatient if you are not getting your Michelin stars after your first week of business. Nobody is having too much fun if their business investment is not providing sufficient income. To avoid this from happening, you need a good plan. Therefore, the best way to start is to create a well-functioning, sustainable and effective business plan. Your business plan needs to be tailored to your own idea, resources and abilities. Nevertheless, there are some common rules that are applicable to almost all restaurant business plans. Let’s talk about these 5 brilliant tips that will work on your plan, as well. People with consistent employment history are more likely to be loyal. Potentially loyal employees don’t bad mouth their previous employers and are honest about the reasons for leaving their previous workplace. 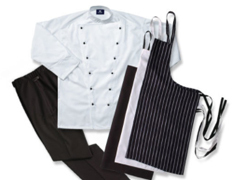 Excellent variety of colours and styles of aprons for your wait staff. Sturdy, yet classy design. 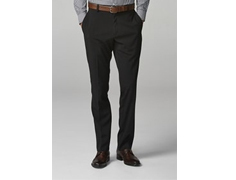 Simple black pants will match any waiter uniform. They are versatile and comfortable to wear. 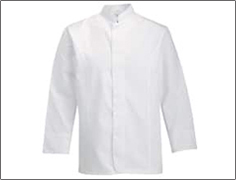 Nice mandarin collar on a spotless waiter jacket is a perfect touch and comes with different styles. How do you even know if you are making money with your business? It is obvious from your reports, isn’t it? So why don’t you make more reports? You can introduce different types of reports to make sure every dollar you invest is well spent and accounted for. You can introduce a menu item sales report that shows which ingredients are the best sellers. In that way, you are able to plan your meals more efficiently and offer people the dishes they really want to order. For example, you may notice that a significant number of your customers order chicken-based meals. This information can help you plan your next menu item and you can make sure to include chicken in it. You can use this calculator to find out how much that item will cost you. Groceries are not the only items that cost you money. You also need to pay your employees. To have decent workers, you need to pay them decent wages. Consequently, you need to make sure you are getting your money’s worth. Introducing an hourly labour report doesn’t mean you distrust your employees. It will help you see what needs the most work and how many members of the staff you really need. This will let you see if your team is working 100% efficiently. The best possible marketing formula for your restaurant needs to involve both offline and online efforts. Both of these need to be elaborated in your restaurant business plan. Build good relations with your returning customers by creating loyalty programs or offering them birthday specials. Organize and promote wine tastings and national cuisine evenings. In other words, give people a reason to keep coming back to your restaurant. You already know that the future is here and that your marketing game needs to be strong both offline and online. You need a good website, created by a professional and active and well managed social media profiles. The video is interesting, the music is dynamic and engaging. The viewers will want to check out this restaurant in person, not that they have seen how a day in Sepia looks like. They have experienced a good story and now they want to be a part of it. People are more than able to cook their own food or go to a friend’s house for a dinner. However, when there is a special date in their lives, they choose to go to a restaurant and make that even more special. Your customers will come for the food, but they will bring their friends and family because your restaurant is a pleasant and the ambiance is lovely. The first thing you need to think about is your restaurant location. Can you get a venue on a corner? Is there a parking lot available? What is the neighbourhood like? Don’t be desperate if your perfectly positioned restaurant doesn’t have enough space. You can make up for the lack of space with better organisation. Make sure your kitchen is perfectly designed so that it makes working there very easy. For example, the completed orders should be on the very entrance of the kitchen, so that the waiters don’t need to enter it and make it even more crowded. Also, if you don’t have enough space, work on your takeaway menu and promotion. Allow people to book a table in advance using your website and prevent the crowding up of your place. However, when it comes to designing your restaurant, we strongly recommend talking to a professional. Everything from your wall art to the choice of your crispy clean tea towels has to be perfect. 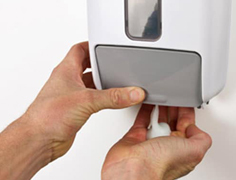 Even your washroom needs to be presentable. It goes without saying that your staff needs lovely and spotless uniforms, as well. 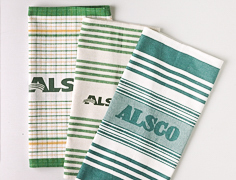 Choose among the 12 different styles and two sizes of high-quality tea towels. Spotless and well-stocked washroom is important for your business image. Leave an impression of class and professionalism. Rent amazing wait staff uniforms. Your marketing and social media efforts will bloom if you get your customers to take photos, share them, brag a bit about their experience, tag their friends, check in and recommend your restaurant. For this to happen, you need to have something Instagram or Pinterest worthy. It can be the interior itself, the way you serve your food, the way you fold your napkins or something entirely different. Take a look at these ideas from already existing restaurants. There is a Japanese restaurant in Victoria that features interesting chairs. Photo ideas are popping up as soon as you land your eyes on these interestingly designed chairs. This eye-catching ceiling at Nobu Restaurant, Perth, Australia provides excellent mood lighting for the restaurant and a lovely photo opportunity that the customers will surely take. Go to Facebook or Instagram and search it for hashtags #nobu and #perth. Almost every fifth photo is the photo of this mesmerising ceiling. Your idea doesn’t have to be extremely expensive in order to be effective. How about some well-positioned ropes all over your restaurant? That’s what The Grand Old Lady of Melbourne’s Abbotsford did. These are not for free, but they might be quite cheaper than installing the designer chandeliers. On the other hand, you can place your efforts into serving your food. This truly has to be unique for your restaurant and you need to find your own style. For example, this is taken from the Attica Restaurant in Melbourne. You can come up with your own ideas, but it is highly advisable you hire a good interior designer to help you with the entire concept and the individual technicalities. Do you want more ideas for your restaurant? You can look at these 5 tips as 5 main points in your restaurant business plan. However, each and every one of them can be elaborated much further and broken down to many details. Take it from the experts and learn from the experience. Get 126 expert ideas for your restaurant business and work out how you can create a restaurant you always dreamed about and make it a success.